We are off to a great start, with several TV appearances already in the books at WJZ, WMAR's new show Midday Maryland and the WBFF Fox 45 daytime show Baltimore Lifestyle. Check out the clips and see how Chef Egg = King of all "Local/Semi Regional" Media! We are proud to announce a new partnership with Visit Baltimore and the Sharp Dressed Man non profit. Chef Egg Live will be working with many local venues, hotels and organizations to spread Chef Egg Live events to convention/conference groups nationwide. The Chef will also be providing fresh lunches for the weekly suit fitting at Sharp Dressed Man. These guys are providing people in need with free suits, haircuts and mentoring services. They want to empower men to improve their lives and it all starts with a fresh cut and new threads. The Chef Egg Live: Cooking with S.T.E.A.M. Power has been working with several Baltimore City schools. The mission is to make the connection between the cooking process and S.T.E.M./S.T.E.A.M. learning. The kids and teachers are loving the programs and we are stoked to provide new educational opportunities. We also have a few ticket to our Galentines' Day Class event at Blue Moon Cafe Too in Federal Hill. This is a ladies only class and we will prepare and feast for long lasting friendship! You can check out the blog, join me @ChefEgg on Facebook and Instagram and come out to my next Chef Egg Live event. The summer has been rocking with lots of great events for a wide range of audiences. I have been very lucky to be able to teach the young people of Baltimore at Artscape 2017 and do some cool hands on STEaM cooking events at the Maryland Science Center. I have been working with the participants of of the Wounded Warrior Project in DC, VA and MD. I was also able to share my food and talents with some great organizations like the National Summer Learning Association and Maryland Food Bank in Baltimore. The busy schedule has been great for business and has truly energized my mission as a culinary educator and entertainer. Check out my latest live TV appearance from WBAL and WJZ TV. We made some killer summer recipes that anyone can make and all will enjoy. You can also check out the blog, join me on Facebook and Instagram and come out to my next Chef Egg Live event. Tix ($10) and info HERE! Tix ($40) and info HERE! I am very happy to bring in the holiday season with you. The weather is getting cold and that means we can start cooking hearty meals like stews, meaty dishes, root vegetables and fresh baked goods with warm spices. The Chef Egg blog will cover great recipes to get you, your friends and family into the spirit of the season. 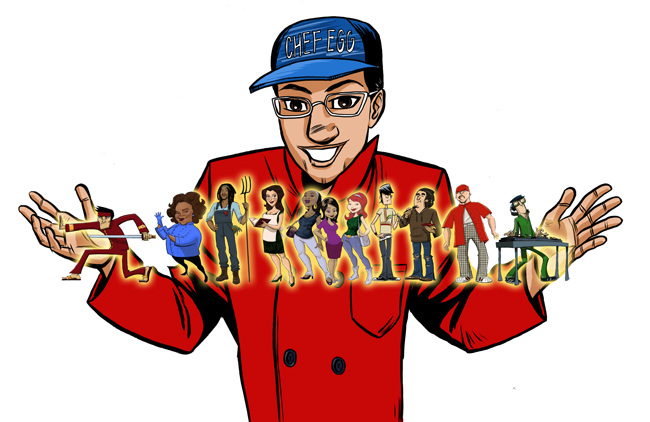 I also have fresh new vids, recipes and services at www.chefegg.com and www.cookingwithegg.com. I am offering holiday gift certificates for private cooking lessons and booking private and corporate events for the new year. You can also buy great Chef Egg gifts like Chef Egg's Chef Soap and my new E Book, "The Kitchen Comes to Life"! This season gives us a great opportunity to learn new techniques and flavors for kitchen success. You can check out the blog, join me on Facebook and Instagram and come out to my next Chef Egg Live event. My name is Chef Egg and I want to free you from the fast food prison and give you the skills you need to succeed in the kitchen. I do this by teaching the people proper culinary fundamentals in an entertaining and engaging way. I am rocking Chef Egg Live, monthly pop up cooking classes in Baltimore and with corporate, college and school, military and non profit organization throughout the country. The summer has been rocking so far and August will bring many adventures, classes and new cooking lessons. We will also start a new social media program aimed at getting you and your family prepared for kitchen success. Chef Egg will be in New York City on Fox News on Aug 14th, cooking with my wounded warrior friends, and then cooking up summer foods that will cool you out and make your mouth water. You can also check out lots of new vids and the latest episode of "Chef Egg Eats Baltimore". We are preparing "Pescado Vera Cruz at the Fells Point Pier. Check out the events below and get cracking' today! Chef Egg Live on Fox News "Fox and Friends"
Play Café – Hampden, Baltimore Monday Aug 22nd, 10a FREE EVENT Hampden's own Chef Egg will unveil his new children's book, "The Kitchen Comes To Life"! Chef Egg wants to introduce you to his friends and his kitchen that is brimming with colors, flavors and cooking inspiration for the whole family. 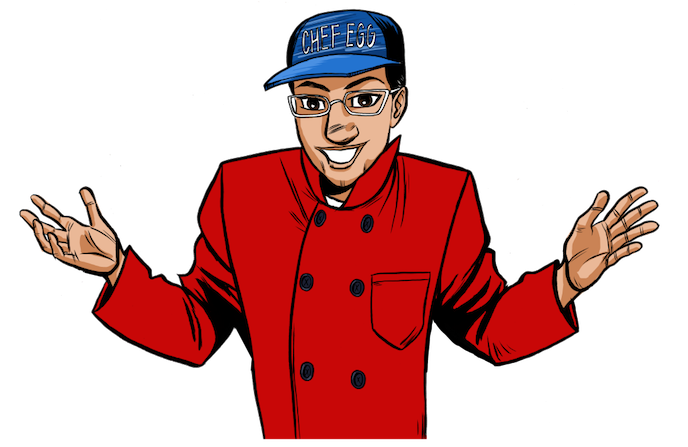 Chef Egg will be also be reading some of his favorite food themed kids books and answering all of your cooking questions for kids and adults alike. Books will be available for sale and signing. May is going to be great month for events and lessons. 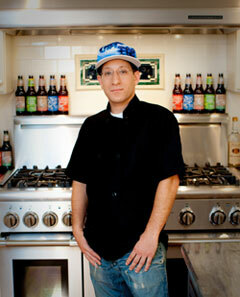 I will be all over the Baltimore area cooking up a storm on TV, Radio and Chef Egg Live pop up cooking classes. I will also be working with great local organizations like Tutties Place, Baltimore Station, Walter Reed Hospital and Great Kids Farm, to get people cooking. Most importantly we want people to eat a healthy diet with their friends and family. The best way to get the skills you need to succeed in the kitchen is to come out to a class, or visit my new educational website www.cookingwithegg.com. You can also check out my new show, Chef Egg's Cooking Eggsperience. March is going to be a great month in the Chef Egg world! We have some great new classes and venues, and have just finished the new www.cookingwithegg.com. This is a cooking website for people of all ages, who are looking to get started in the kitchen and lead a healthy lifestyle. Videos, blog, how to's, food science, equipment lists and chef egg merchandise. We will be at the Whole Foods Culinary Center in Annapolis for a couples class and back at Blue Moon Café Too in Federal Hill twice this month. Last, Chef Egg is now booking corporate team building and on site lunch/learn events. Also private cooking lesson, dinner parties and events for the spring and summer season. Check out www.cookingwithegg and get cooking today! Greetings Friends of Chef Egg! Let's keep it simple. The Chef Egg Live - V Day class is sold out, that is awesome! Next up, we have a very cool pop up class w/ The Local Oyster Bar in Mt. Vernon Marketplace. Tix are limited and almost sold out, so get them while they last. Next month, I am planning a hands on Mardi Gras class and an Indian class, tix will be up ASAP! Chef Egg wishes you a Happy and Healthy New Year! I want to thank all of my fans and friends for a successful 2015! I have travelled the country teaching a wide range of audiences at university, community, corporate, military and private events. The audience feedback and excitement has been amazing. I am also over the moon about the new Chef Egg Live - Hands On Cooking Events at the new Blue Moon Cafe Too in Federal hill. We are going to do monthly hands on classes for the community and private events for large groups and corporate clients. Chef Egg TV is Here! For over 2 years, I have been working on the pilot show for Chef Egg's Cooking Eggsperience. I started with a wild idea to create the next evolution in culinary entertainment. With massive help and love many friends and artist, the show is now a reality. Hit the link https://vimeo.com/149056799 to check out the trailer. The goal is to get this on TV for all to see. Keep posted for updates, new episodes and updated web content. Start your new year off right, and get cooking today! Let Chef Egg teach you the fundamentals of basic knife skills and help you get "Chopped" like a "Top Chef" in no time! Start off with practice knives while learning basic techniques and graduate to the real thing while preparing healthy and tasty recipes. From knife construction, types of knives and sharpening to professional cutting techniques these skills will have you slicing and dicing with safety and ease for a lifetime of culinary adventures. Learn how to slice, dice and chop salads, whole pineapples, mire poix (onion, celery, carrot), potatoes and a whole chicken. Chef Egg has been hibernation for the summer but, things are about to get crackin'!!! We are rocking festivals, colleges and even breweries in the next month! But that's not all. The big news is, Chef Egg is taking it to the streets, and has just released his new web show "Chef Egg Eats Baltimore". Join the chef as he creates tasty meals literally, on the streets of Baltimore. Great locations, groovy tunes and fantastic and easy recipes. Lastly, Chef Egg has a brand new location in Baltimore and will start hands on cooking classes and events. Check out the schedule for great events and get crackin'! Sunday Sept. 20, 9:30 - 11:30a - Free Chef Egg creates fantastic and original recipes utilizing ingredients from the "Market Mystery Basket".